I’ve always loved flowers. When I was a child, my mom and grandma jokingly called me their “flower child” because I always kept them supplied with a fresh bouquet of flowers for their dining room tables. As a teen, flowers sort of represented an elusive dream that was never mine. On Valentine’s Day, it seemed like every other girl in the school would receive flowers from someone, but there was never a delivery for me. Keep in mind, I was painfully shy and never actually voiced the desire to have flowers. But, if you have to say you want them, that steals away part of the magic of receiving them, doesn’t it? Maybe that background and love for flowers is what has made a few flower deliveries extra special to me. When I was in college, I competed in scholarship pageants. In one pageant, I completely screwed up the talent portion. Think about your worst public humiliation nightmare, and that’s pretty much what happened. When I was on stage in front of everyone, I lost where I was in my violin piece. It was an epic failure, and I never did manage to find my place in the music. If I hadn’t screwed up so badly, I would have won the competition. Fast forward six months to another competition. This time, however, it was a larger competition with many more contestants. I nailed the talent portion, and at the end of the night, they gave me flowers. I won. Not only did I win, but I won a great deal more scholarship money than if I had won that other pageant. That year, the pageant I won was rated one of the top local pageants in the country in terms of scholarship money, and also came with many more perks and help than I would have had otherwise. On that night, and in my memory, that gorgeous bouquet of red roses meant so much more than the fact that I had won a pageant. It meant that, even if I failed, I could get back up and succeed. It meant that even when things turn nightmarish and I completely embarrass myself, God can still have a plan that is even better than I can imagine. Even now, when I screw something up or am facing something difficult, I can remember those flowers and hope for another bouquet just beyond my sight. Now, just so you don’t feel bad for me about not receiving Valentine’s Day flowers in high school, I have another story to tell. For the Valentine’s Day following my senior year of college, I, once again, did not receive flowers, not even from my boyfriend, Brian. Not wanting to be cliche, Brian waited until the following day to give me roses, along with an engagement ring and a beautiful proposal. And I said yes. Again, the flowers were more than mere flowers. They were a promise that I’d found a Prince Charming who would supply me with flowers when I needed them and when I didn’t. When there was a reason, and when there wasn’t. Through ups and downs he would love me, and I’d never have to ask. Fast forward over ten years and three children later. I received flowers on April 12. Why do I so specifically remember that date? Because that was my due date of when my fourth baby was supposed to have been born. I unexpectedly miscarried at 12 weeks, and there are no words to describe how difficult that was both physically and emotionally. Busy life went on. I had three children to care for, and we ended up selling our house and moving in the time between. Then on April 12, we were moving into our new house, and a bouquet of flowers was delivered from my parents and siblings. The card simply said that they were remembering me on this day. I honestly still can’t think about it without tearing up. Those flowers gave me permission to grieve. They let me know that I wasn’t alone and that other people cared and remembered both me and my baby. Three vastly different experiences, but all with the same result. I received flowers that touched my heart and made a difference to me. When thinking about an idea for a book, I often start with an emotion that I want to capture. The “Out of the Blue Bouquet” was at least partially inspired by my experiences and a desire to capture a bit of that magic that happens when you receive flowers. There are many different reasons one might get flowers, and many more ways those flowers could impact a life. For me, flowers have both thrilled and comforted me, representing accomplishment, validating grief, and symbolizing the love of my Prince Charming. The five stories in the “Out of the Blue Bouquet” hopefully capture some of those emotions associated with flowers. My book is the last in the set and ties everything together by telling the story of how all of the characters in the other books got their accidental flower deliveries. 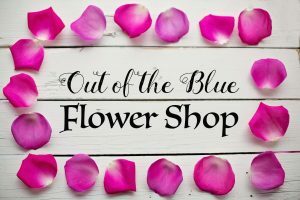 Wanting to stay true to the flower magic of my original idea, I thought it would be fun to open a “virtual flower shop” to go along with the book. The shop contains images that can be downloaded and sent to others, as if they were real flowers. Some of the flower messages are funny, and others are serious or romantic. Everyone likes to know someone is thinking of them, and maybe sending someone virtual flowers will give them a hint of the thrill of real ones! 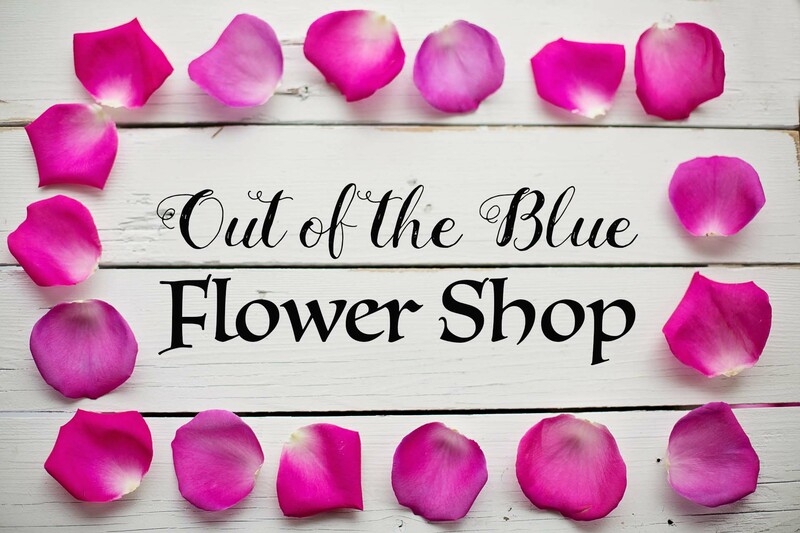 So visit the “Out of the Blue Bouquet” Flower Shop and pick a few flowers to brighten someone’s day. 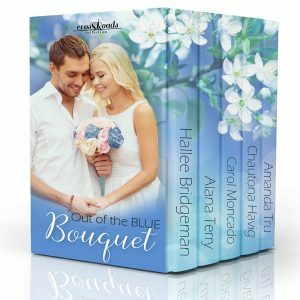 And then, if you haven’t yet, read the “Out of the Blue Bouquet” collection! Please note: This post may contain Amazon affiliate links.